The latest clip features Dave Mustaine, David Ellefson and Chris Broderick recording tracks at Vic's Garage studio in San Marcos, California at the end of February. 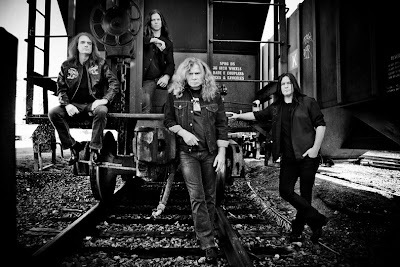 Megadeth finished recording the project on March 13, with Mustaine tweeting, "More 13 weirdness…we finished the record on 31313. 13 of 14 songs used; song 13 left off. It was 13 years since we tracked Silent Scorn." [Horn player Bob Findley played on the track "Silent Scorn" from 2001's "The World Needs A Hero" and is a featured guest on the song "A House Divided" on the new album]. The project will be released June 4 via Mustaine's new label, Tradecraft, which is distributed by Universal; the album can be pre-ordered through Amazon via the link below. 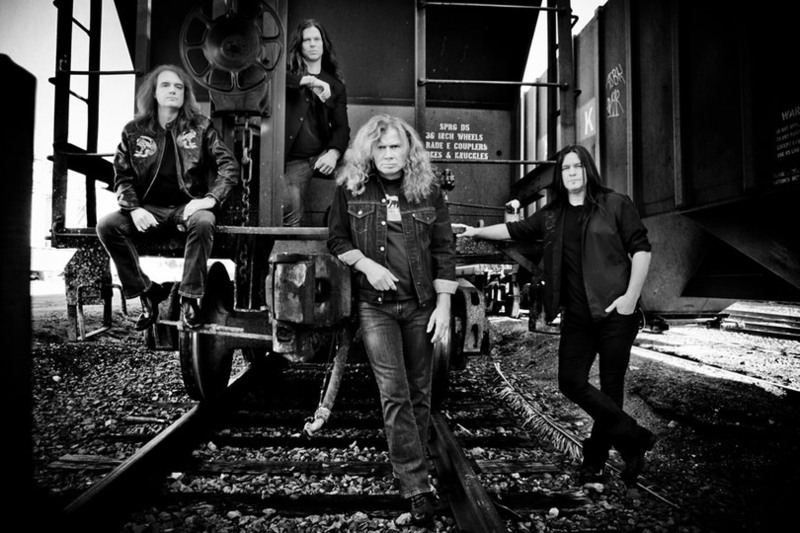 Megadeth kick off their 2013 live dates May 22 in Bucharest, Romania.